Laser hair removal treatment has been around for well over 15-years. It’s really an aesthetic service. It is really annoying to have hair in certain parts of the body and that is why we like to remove it. More people are considering permanent laser hair reduction over the years compared to the other traditional waxing and shaving which are not permanent. The laser, a source of energy targets the root of the hair and destroys the hair follicle while the surrounding skin is protected by cooling.. The darker the hair the better the results. Laser hair removal does not work on white, blonde or grey hairs. Reddish blonde hairs may have mixed results. While no laser can guarantee 100% hair-free skin, the laser will remove up to 75% – 90% of hair within 6 – 8 treatments. The remaining hairs that come in are very fine and light that may need shaving once in 4 to 6 months. Which is the best Laser for me? There are so many different Lasers and light based devise in the market and that makes it confusing for one to know which laser is the best suited for one’s skin type. At Surani Clinic we use state of the most state of the art technology. 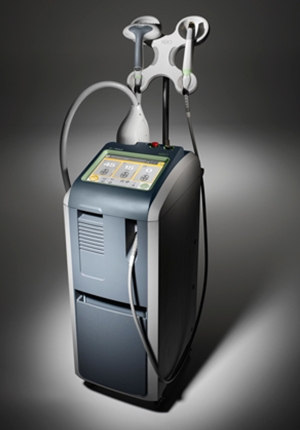 We use the American Dermaogical Society’s “laser of the year” the Cutera coolglide and also the Prowave. The Cutera coolglide can be used for all skin types and it is the gold standard for ethnic skin types. While the Prowave device is like having 3 different lasers and is ideal for Caucation and Mediterranean skin types. Results are really dependent on what kind of laser is being used, the settings being used and the skill of the technician. .At Surani Clinic, all procedures are performed by a medical professional with more than 10yrs of experience with laser hair removal treatments. If you are planning on undergoing laser hair removal, you should not pluck or wax the hairs for at least 4 weeks before treatment. That's because the laser targets the hairs' roots, which are temporarily removed by waxing or plucking. Just before the procedure, your hair that will be undergoing treatment should be shaved the night before so that the skin is not irritated on the day of the treatment.. The laser equipment settings will be adjusted according to the color, thickness, and location of your hair being treated as well as your skin color. Laser goggles will be worn during the procedure. To protect the outer layers of your skin , a cold ultrasound gel is applied on the skin. At Surani Clinic we also use a special cooling device to further numb the skin. Next, the laser hand piece is glided over to the treatment area about 3 by 3 inches if a test spot is done.. After about 10 minutes the area is assessed to make sure the best settings were used and to check for bad reactions. This test spot is sometimes done a couple of days before and sometimes on the day of treatment. If the operator gets the right reactions then the rest of the procedure is completed, Aloe Vera jel is applied after the procedure.. You may schedule your next treatment four to six weeks later. What are the Recovery and Risks? For a day or two afterward, the treated area of your skin may look and feel like it's sunburned. You may have some redness or swelling. Cool compresses and aloe vera jel may help. If your face was treated, you can wear makeup the next day unless the skin is still red.. Complications like blister and scarring are rare when done with experience hands. What is the Costs of Laser Hair Removal? Number of treatments required. Most people need about 6 to 8 treatments. At Surani Clinic we offer complimentary consultation and a test spot by appointments.